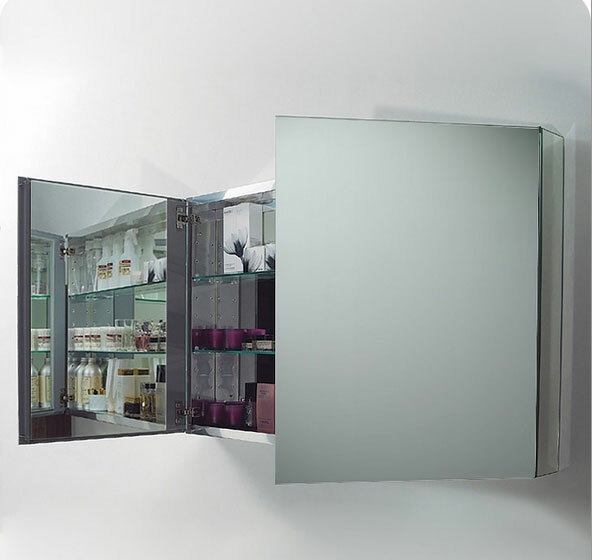 This 40" medicine cabinet features mirrors everywhere. 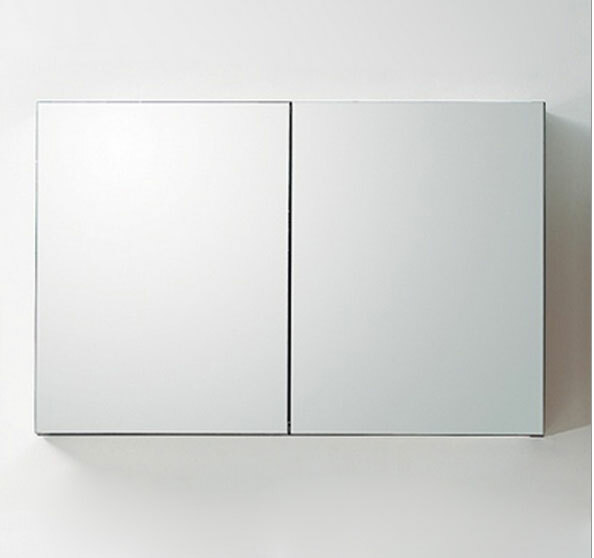 The edges have mirrors and also on the interior of the medicine cabinet. The inside features two tempered glass shelves. 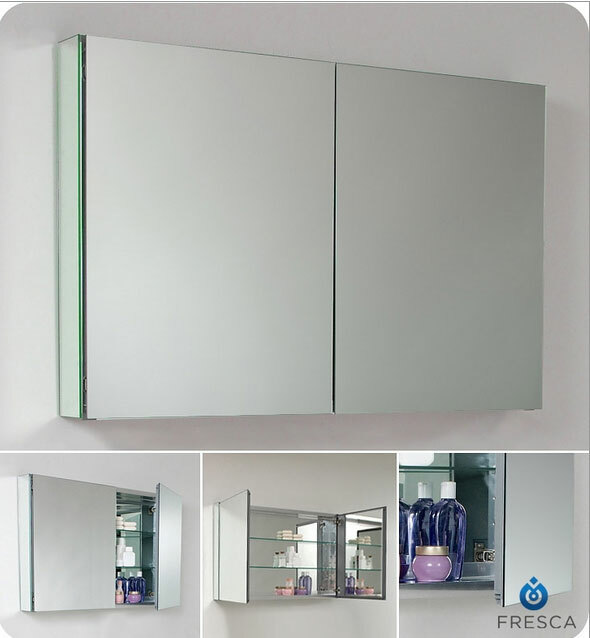 Can be wall mounted or recessed into the wall.